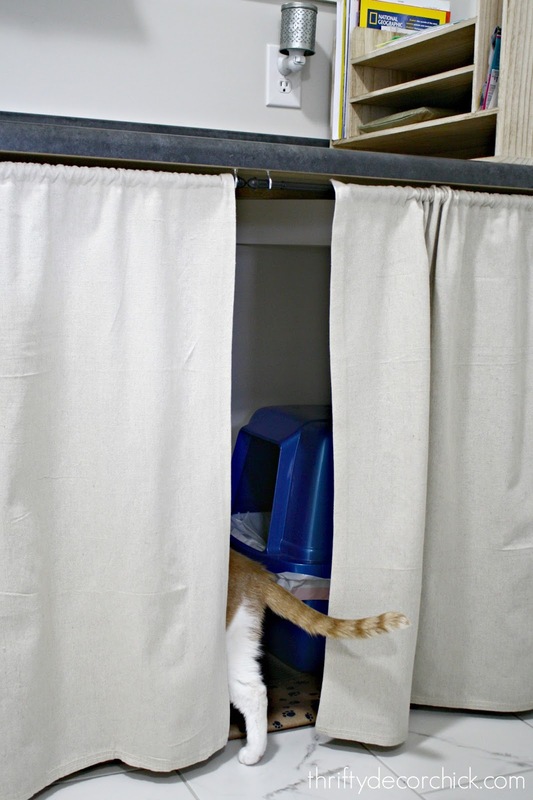 Cute way to hide the cat litter! 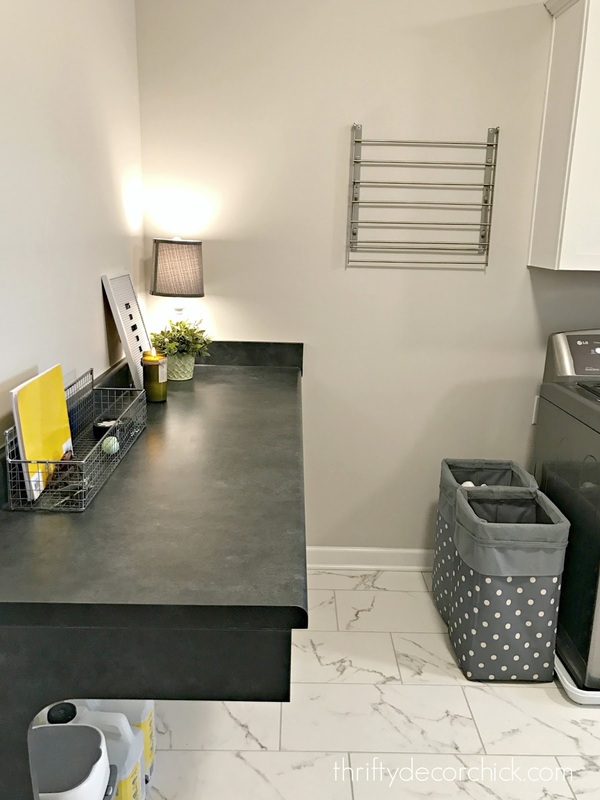 I shared our mud room/laundry combo a few months ago and it continues to be a favorite room in the house. It is a dream to have such a large space! I've been working on organizing it since we moved in. You can see the big cleaning closet and that organizing transformation here. For months I looked for large art that fit this space but never found anything I liked. I thought about some kind of big pin board to put art and papers but didn't want it to get too busy. 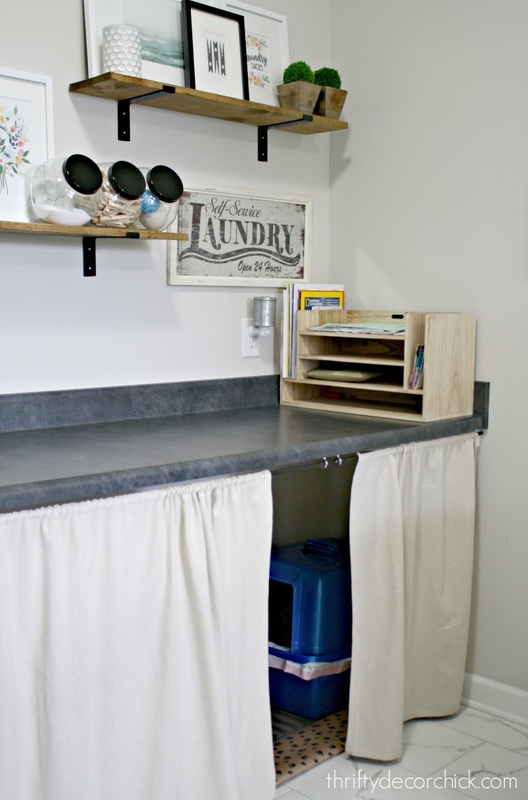 I have much bigger plans for this space but it may be years before I get to them, so I decided to just do something cute and simple that also provided a bit of storage for laundry stuff. More on that in a bit! What I didn't show you were the litter boxes. We knew we wanted them under the table so they're easier to keep up with. What we didn't realize was how often we'd have guests in this room, especially in the rain or snow. It's a shorter trip to come through our garage. I didn't love welcoming them with litter boxes. :) Beyond that, I just didn't want to see the stuff we keep under there! That rolling cart fits under there perfectly and is great for random stuff -- things I need to return, put away in the garage, etc. I just don't want to see all of that junk every time I walk in. I used three -- one on the side and two on the front. 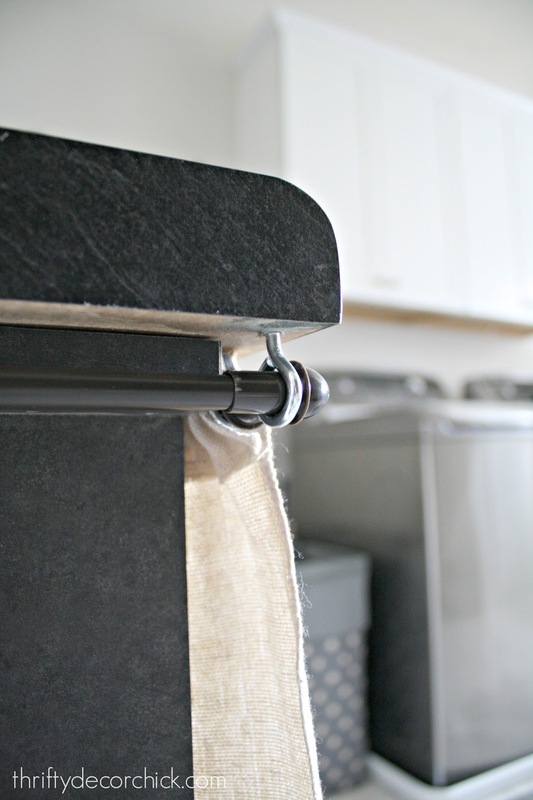 I used my iron on hemming tape and drop cloths to create little curtains with drop cloths. (I used this size and cut it to fit.) Initially I was going to use drapery clips to slide the fabric, but to save some cash I decided against it. It's working great so far! Though if you're going to be moving the curtains often the rings would be helpful. We usually keep it open a little more than that, but this gives you an idea. I changed the direction of their boxes to keep the litter tracking to a minimum as well. By the way, we just changed over to a new litter called Clean Paws and I'm thrilled with it! The mess on the floor is cut down significantly with that litter. Just a quick tip for my cat loving friends! You can see what I ended up with on that big wall. Simple shelves are functional and allowed me to add some fun art and accessories! I love that you can purchase and immediately download them to print at home. Makes it super easy and quick. That poor fiddle leaf! 😂 He did NOT like his spot in a bathroom and was dying fast. I brought it in here to take it out to the trash and it's thriving all the sudden. There's less light in here but he seems to love it! We'll see if it keeps coming back. We keep the curtain open so the cats can get in most of the time. When we have friends over we close it (the cats rarely come out when we have company). They've already found the little "door" and go in and out with it shut anyway. It's certainly not perfect but it's serving us well! I love cheap, easy projects, they are my jam. :) Where do you keep your litter boxes? We had them in the basement in the old house but this is working out well for us so far. So this is totally random but...do the cats each use their own litter box? Or do they use both? I haven't had more than one cat in over 15 years, and then they just shared one. Good question! I’m pretty sure our cats use them both randomly. I’ve never really looked to see though! Most experts recommend having one more litter box then the number of cats that you have. Ours are fine with two, but I’m thinking of adding one in the basement to see how they take to it down there. My cat has two litter boxes. I read somewhere that you should have a box for each cat plus one extra one (not per cat). When I did that, we haven't had anymore issues with him thankfully! He has a box in the laundry room like you and then a SECOND BATHROOM (HAHA) in my upstairs closet. Strange I know, but our basement wasn't finished at the time, so that's where it went. We do have to have baby gates to both rooms so the dog doesn't sample during the day . . . . Haha!! I’m so glad our dog hasn’t no interest in that. 😂😂 Ours have always done well with two but I’ve always heard it’s recommended to have one more. Where did you get the wall mounted laundry drying rack? I used to have a similar one from Ikea and they don’t make it anymore! I loved that one and have been looking for a replacement! Love it! Where did you get the shelf brackets? Love this idea, litter boxes are really hard to decorate around! IKEA is a great place to get the curtain ring clips. They have large and small sizes in black, white, and silver for a great price! Isn't it so amazing what a couple of curtains can do to make a space look neat and tidy? I love the finished look of these simple project! And thank you SO much for being willing to share the un-pinteresty things like litter boxes...they are a constant headache and frustration for those of us with kitties but nobody ever wants to talk about them or how to fit real life into home decor. 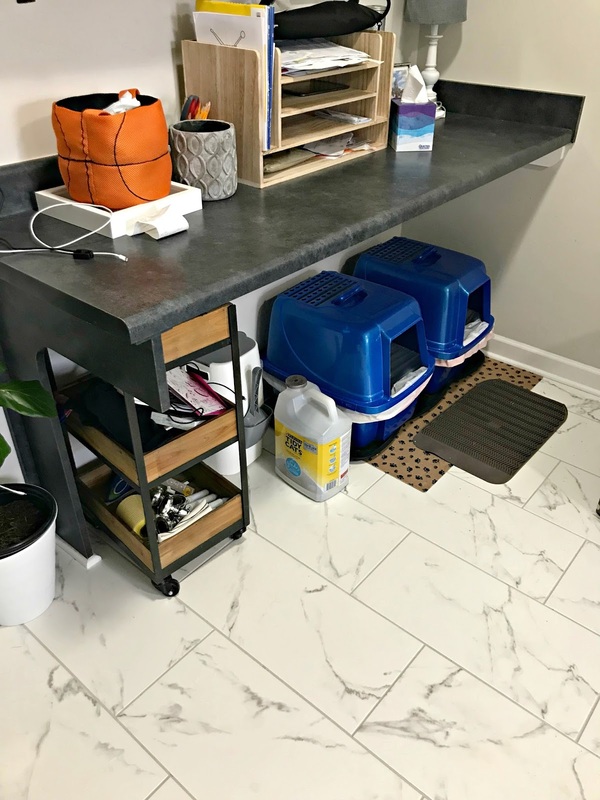 I have a tiny laundry/utility room with space for one litter box for my one kitty. Due to the door swing from the garage to the house, there is no way to curtain it off, so it is what it is. I did install a wall cabinet above for cat food and other supplies, and framed and hung a photo of my kitty below it. Since I'm the only one who enters the house from the garage, it works fine for one cat. I've tried litter boxes in unused or seldom used closets, but they have a tendency to be forgotten when it comes to keeping them clean, so I like to keep it where I know I will be reminded daily. It looks so good, great idea with the curtains. 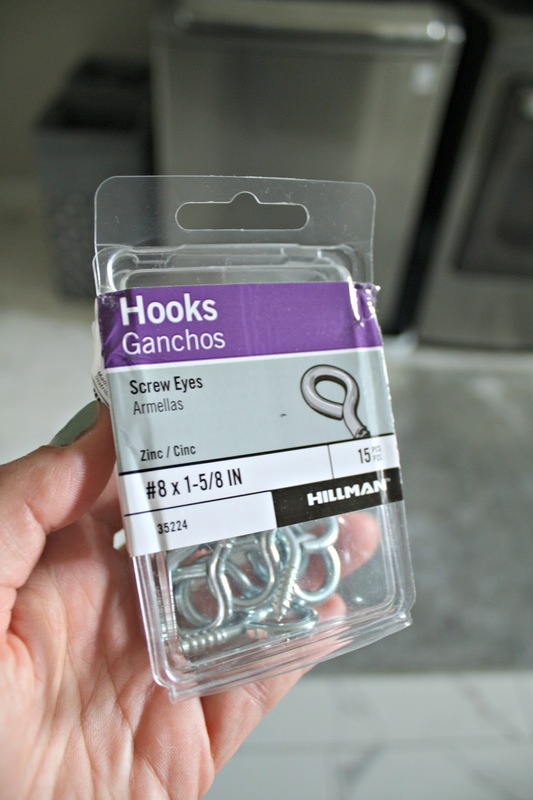 Where did you get your shelf brackets? I love how they wrap to the end! Super cute, what a great mudroom!! Awesome idea, and really cleans the place up perfectly! We have a cabinet that we cut an arch into the bottom/side of to hide our cats box. It is so great not ever seeing it! My goal is for our house to be clean and clean smelling enough that a guest would never know we had a cat until they actually saw him! We put ours in the laundry room too. I kind of hate it because they were in a closet, but then my one cat started using the closet floor as a bathroom. Ahem. So they are out in the open. 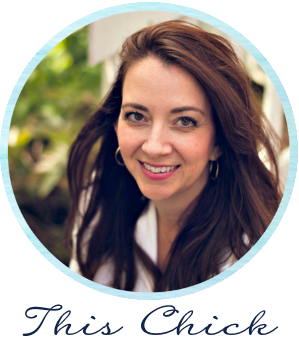 One tip that helped us out so much though was when a friend told me about horse bedding! They are pine shavings in pellet form, so they absorb ummm, stuff, and keep the odor down a lot! It's super cheap and lasts forever! It does mean an extra trip to Tractor Supply for it, so it's not always convenient. Yours are enclosed so odor might not be a problem. Our "highnesses" decided they would not go through the doors of the enclosed boxes. Ugh. Cats.